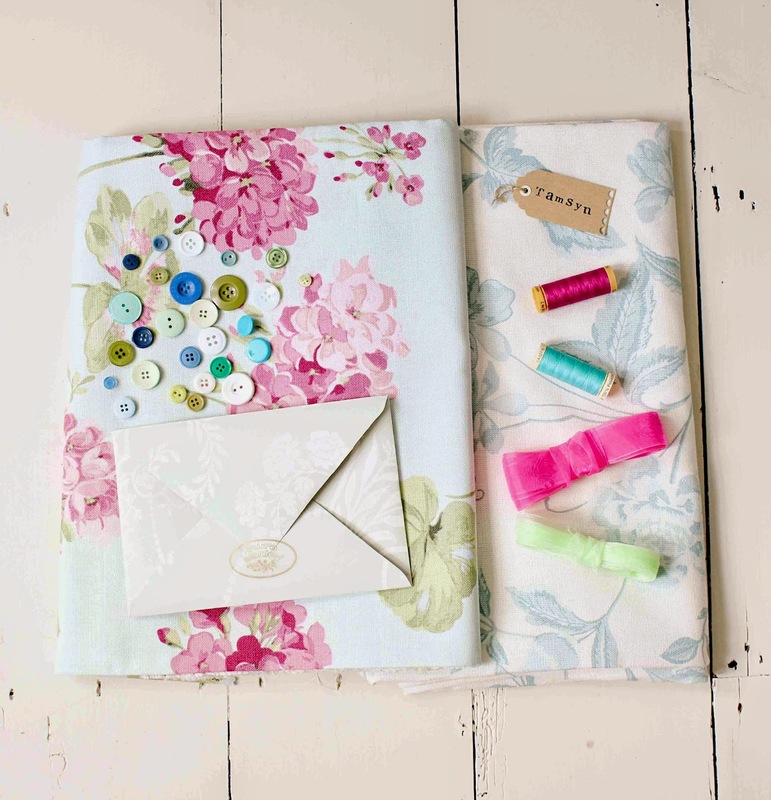 I was so delighted when the lovely people at Laura Ashley invited me to take part in their Sew and Stitch challenge, and even more delighted when a beautiful parcel of fabric arrived at my door! 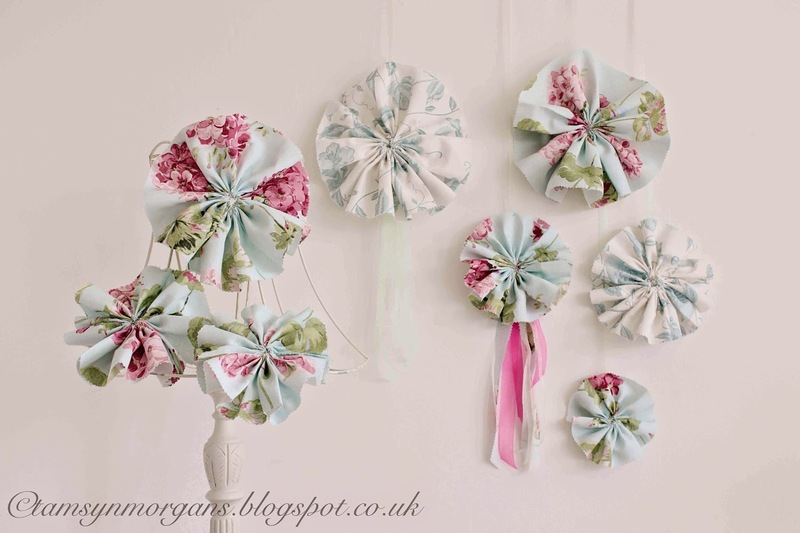 I decided to make rosettes with my fabric, as not only are they easy to make (my approach to sewing is rustic at best, so if I can make them, anyone can!) but they’re also great for adding a decorative flourish to all sorts of things. 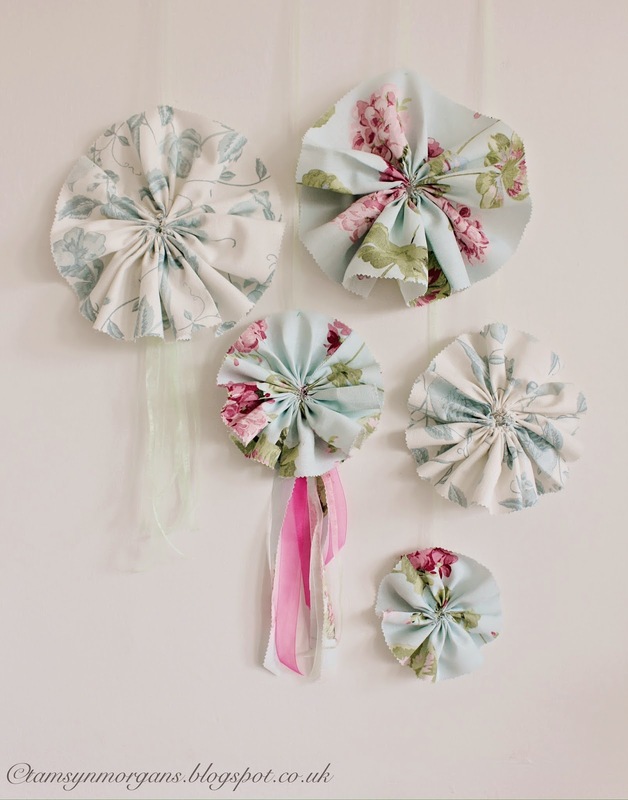 Plus these fabrics are absolutely perfect for making rosettes as they retain their lovely ruffled shape so well. 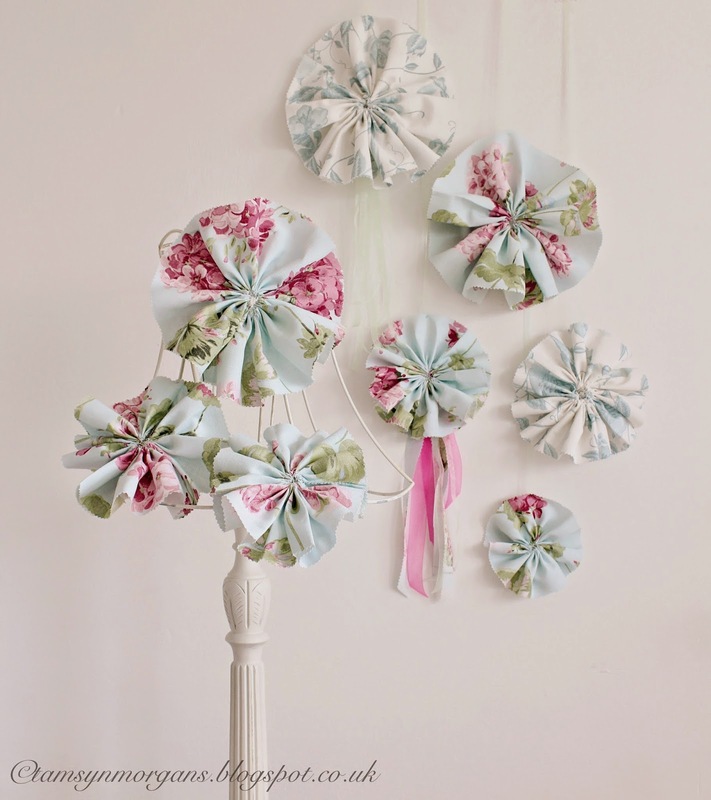 They would be lovely gathered en masse as party decorations or as a focal point in a child’s bedroom, or you could make smaller rosettes to decorate a handmade bag or cushion. The folks at Laura Ashley are again running a lovely competition! Head over to their blog here to see all four Sew And Stitch posts by different bloggers, if you vote for your favourite post you are in with a chance of winning a £50 Laura Ashley voucher! My tutorial is after the jump – if you make any rosettes for yourself, I’d love to see them, so please do share with me by tagging me on Instagram or Twitter. The first step is to cut a length of fabric along the entire width (137cm in the case of my fabrics). 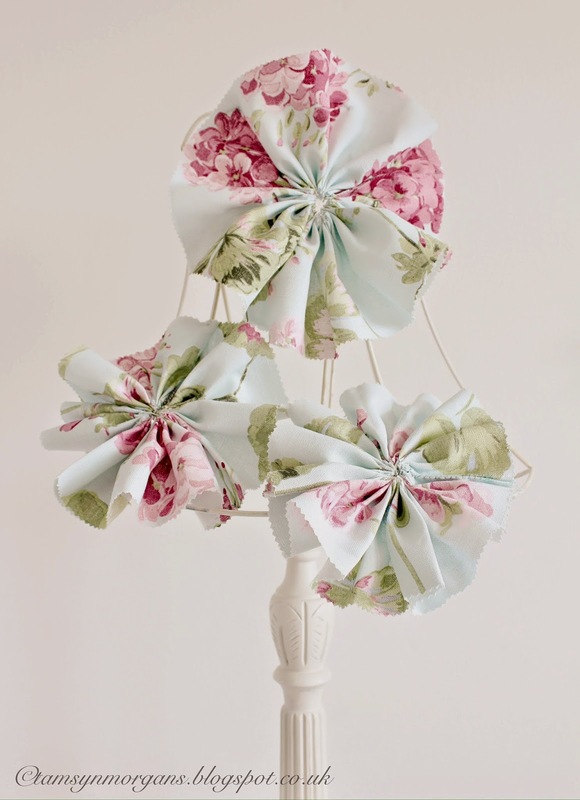 I cut strips in two sizes – my smaller rosettes were made from a strip of fabric approximately 10cm wide, whist the big rosettes were made from a strip of fabric 14cm wide. I wouldn’t go any bigger than that, otherwise the rosette will end up a bit floppy. 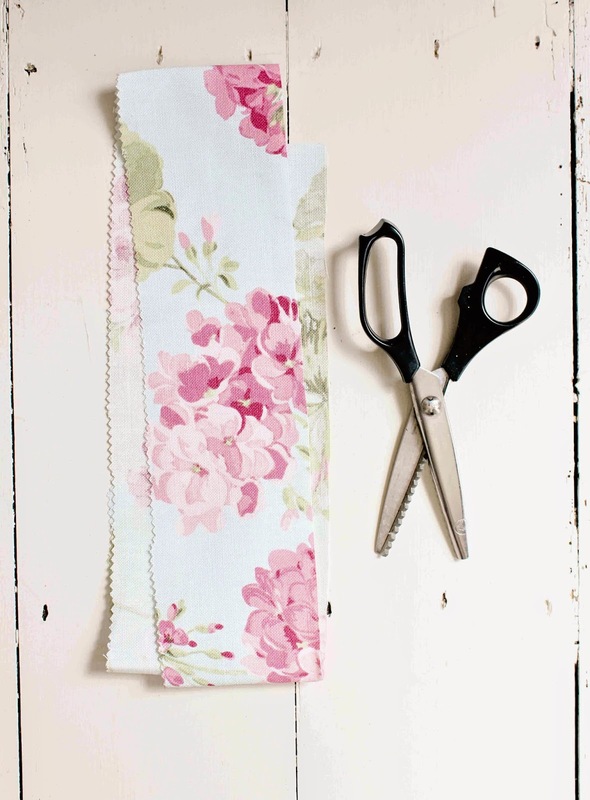 I used zig zag scissors to cut along the top edge of my strip of fabric, but you could use straight edge scissors. 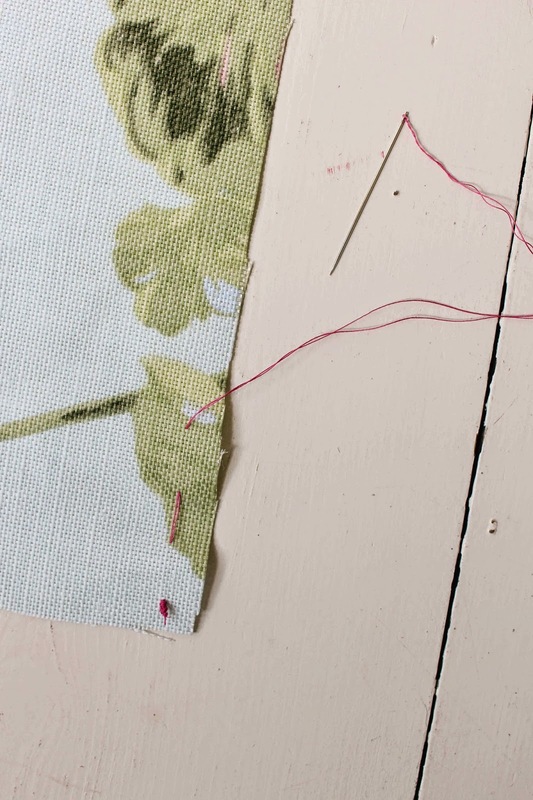 Start a simple running stitch of approximately 1cm apart on the bottom edge of your fabric. You don’t want the stitches too tiny, as you want to form a nice ruffle. I used a brightly coloured thread for the purposes of this tutorial so you can see where I’ve stitched, you can use a thread that matches your fabric. 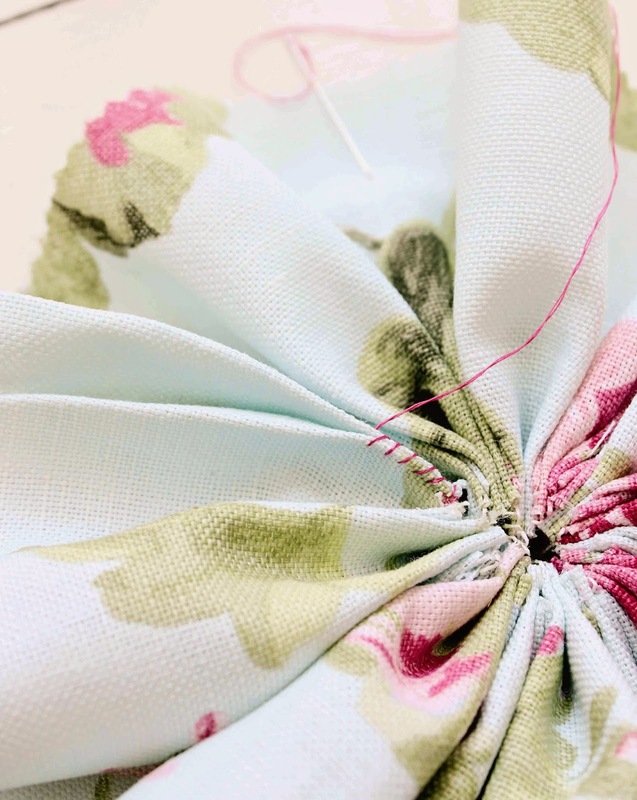 I doubled my length of thread up to make it nice and strong, as you will need to pull it tight to form your rosette. Every few inches pull your thread so that your rosette starts to form a ruffle. 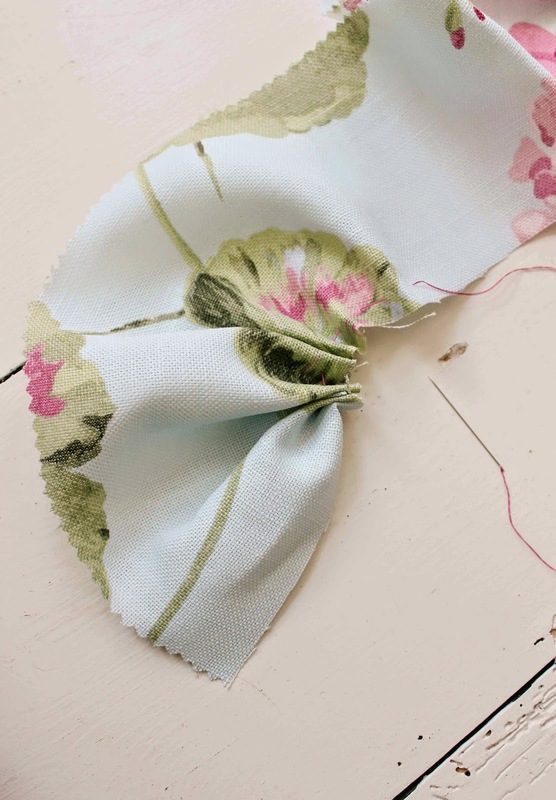 Once you get to the end of your strip, pull the thread firmly so that the fabric concertinas and forms your rosette. Knot your thread so it’s secure. 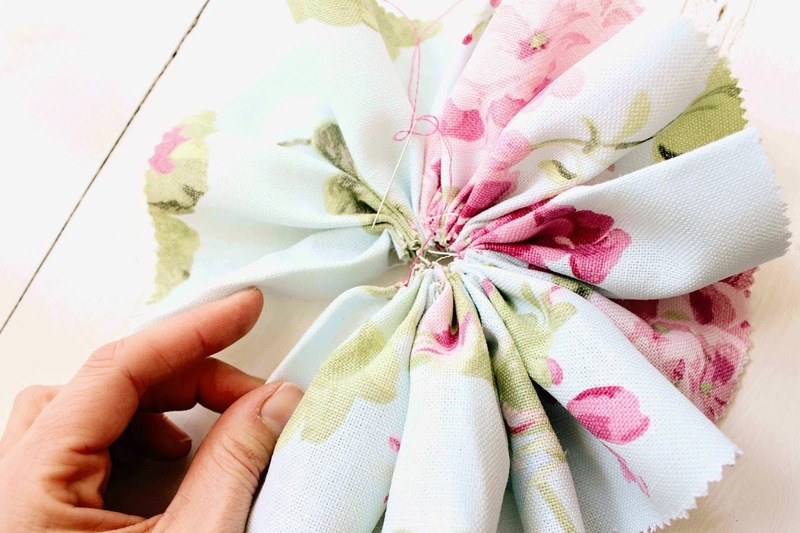 To complete your rosette, take the edges, making sure the raw edge is folded towards the back of the fabric, and sew them together neatly leaving you with a pretty ruffled rosette. Use your fingers to form the ruffles evenly if needs be. 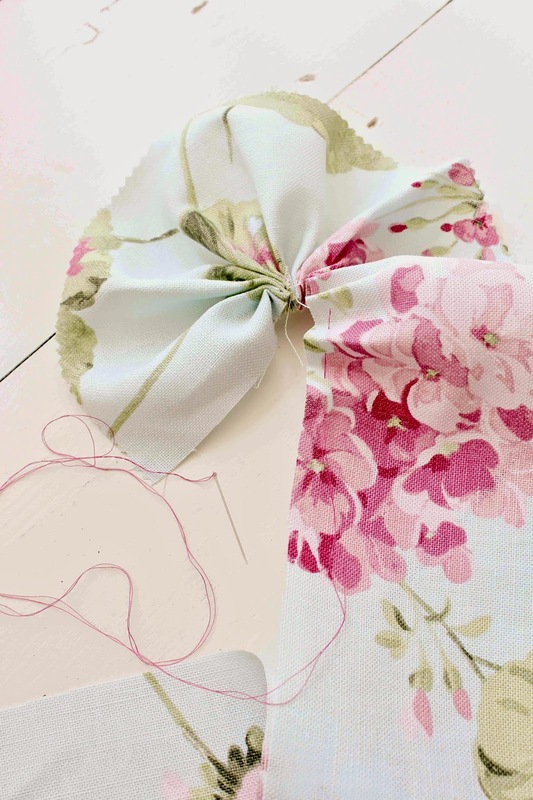 It’s then up to you how you decorate your rosette – you could sew strips of fabric, lace or pretty ribbon to the back of your rosette as I have on one of mine, or even sew buttons into the center. And there you have it! I hope you have fun making these – happy sewing!